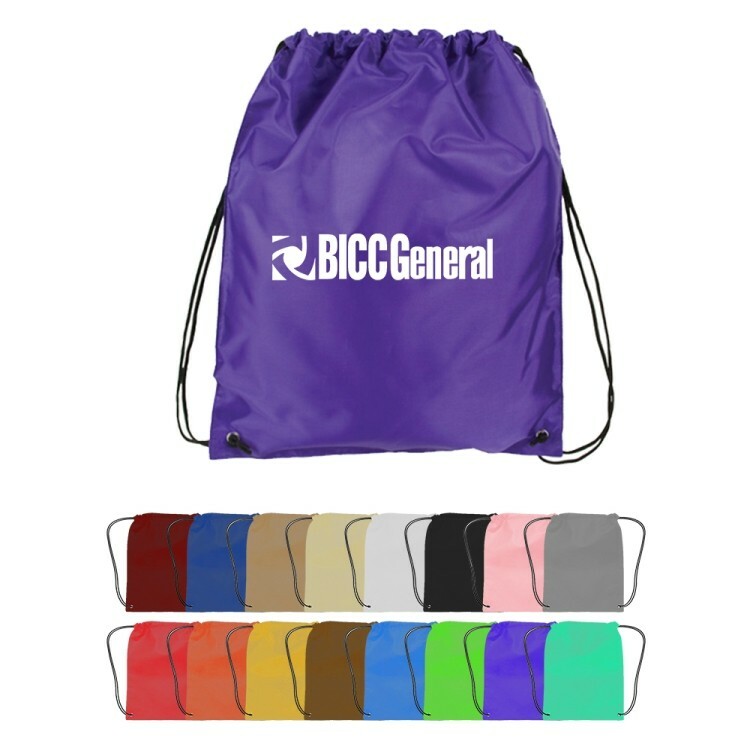 These custom plastic drawstring bags are made of PVC and 210D polyester. 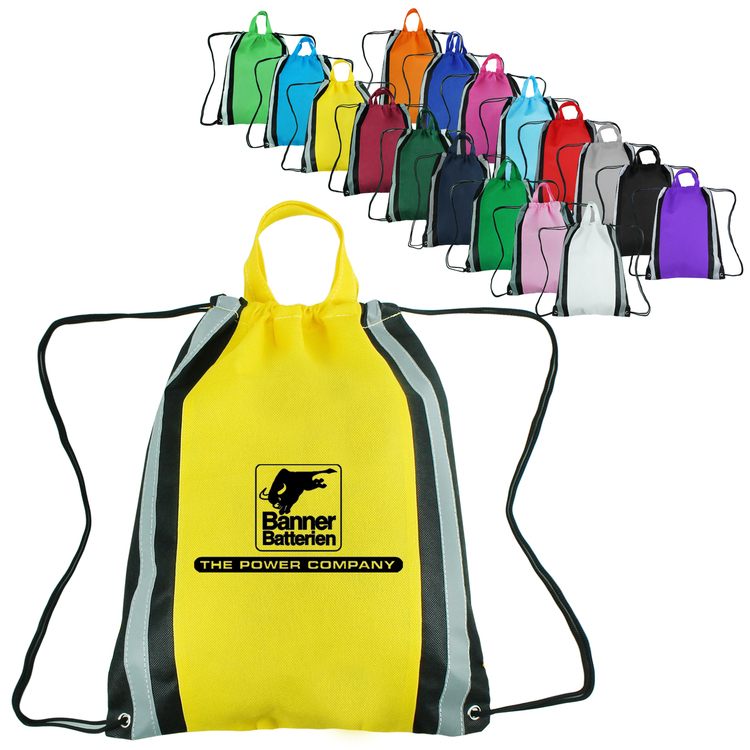 The bag is clear and available in dozens of colors that include blue, orange, yellow, black and red. 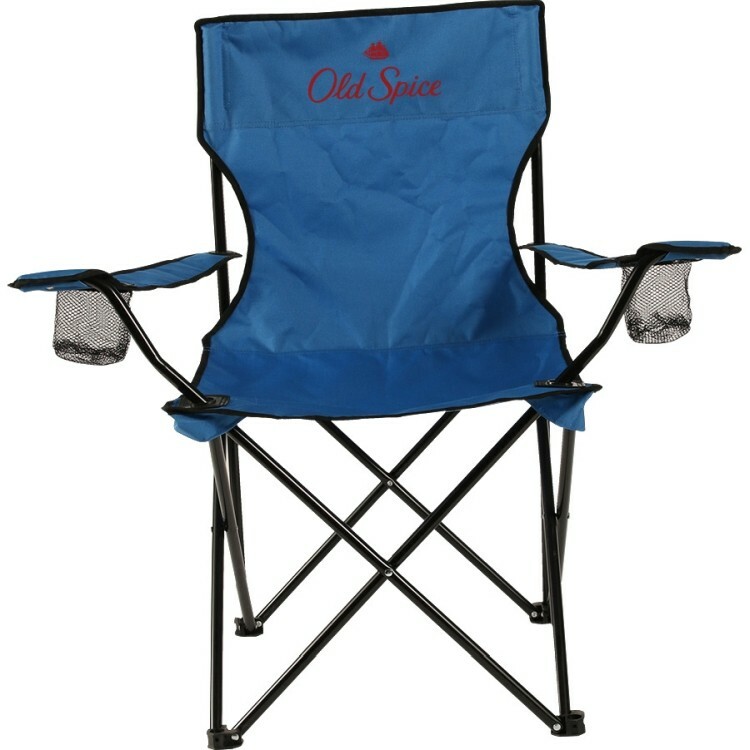 The size is 14'' X 17''. 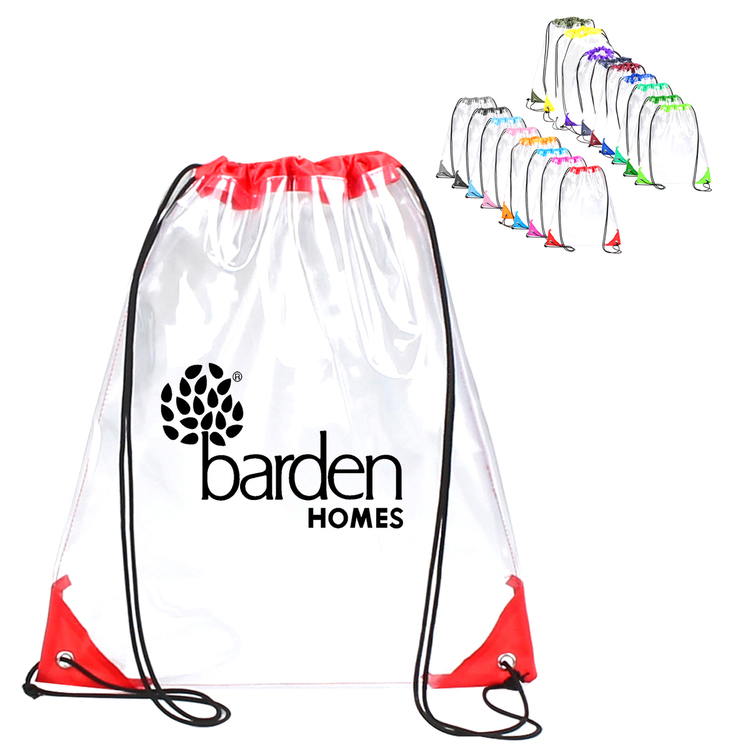 These clear drawstring bags are great for hotels, spas, trade shows, field trips, social events and many other venues. 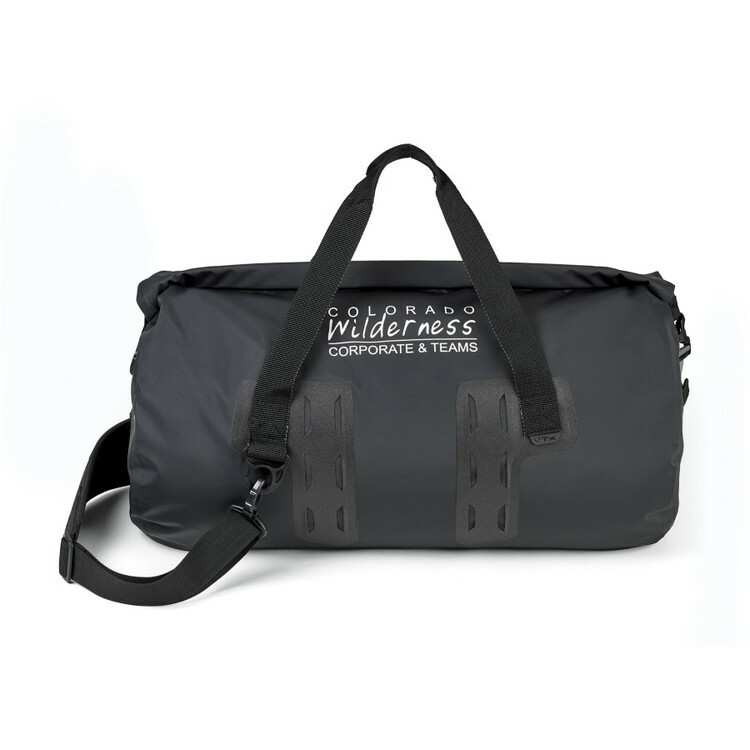 Shipping costs are included, and the transit time is 5 business days. It complies with Prop 65. 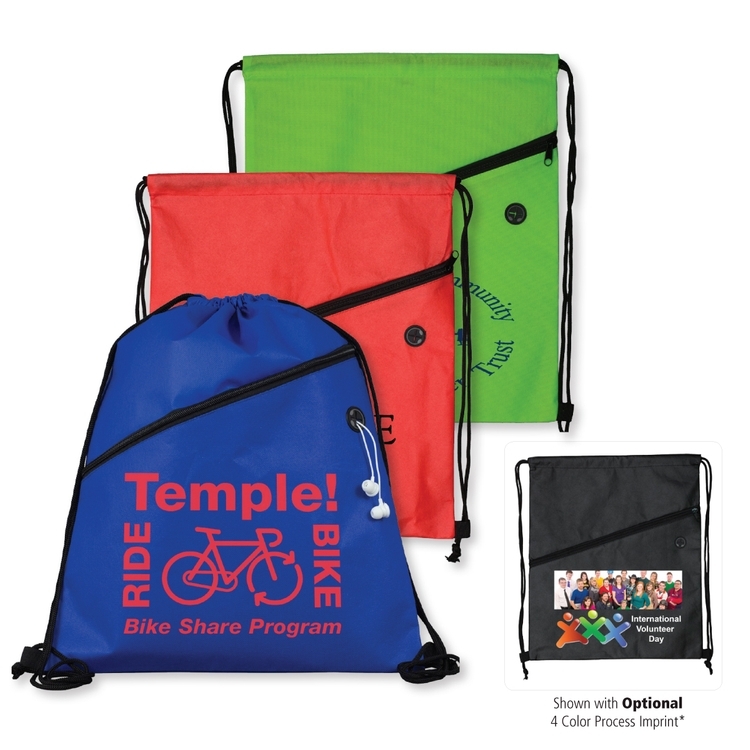 Manufactured with reusable materials, these non-woven drawstring backpacks are ideal promotional items. The size is 14” x 18”. 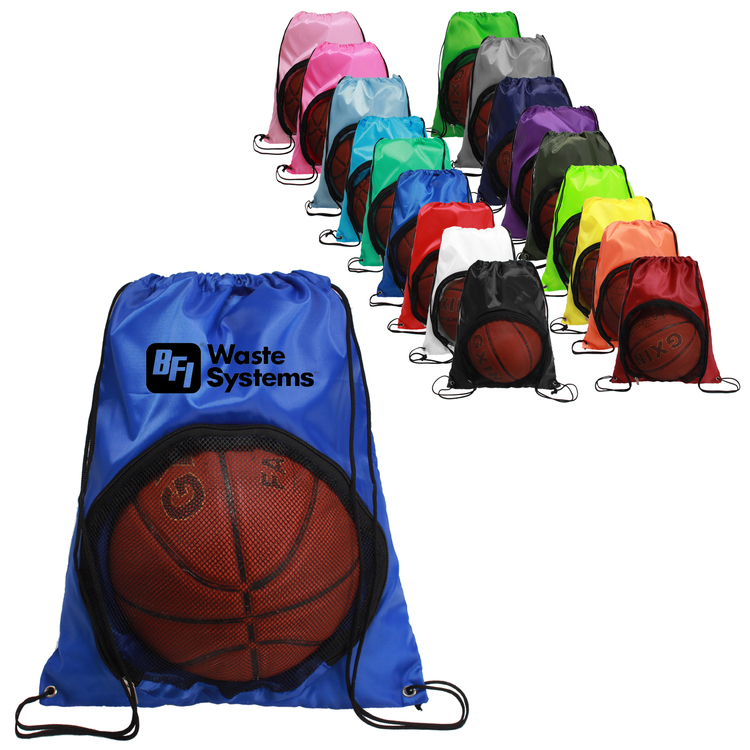 With adjustable drawstrings, Grommet and stitched bottom corners, our wholesale backpacks can carry accessories from clothing and shoes to sports equipment and water bottles. 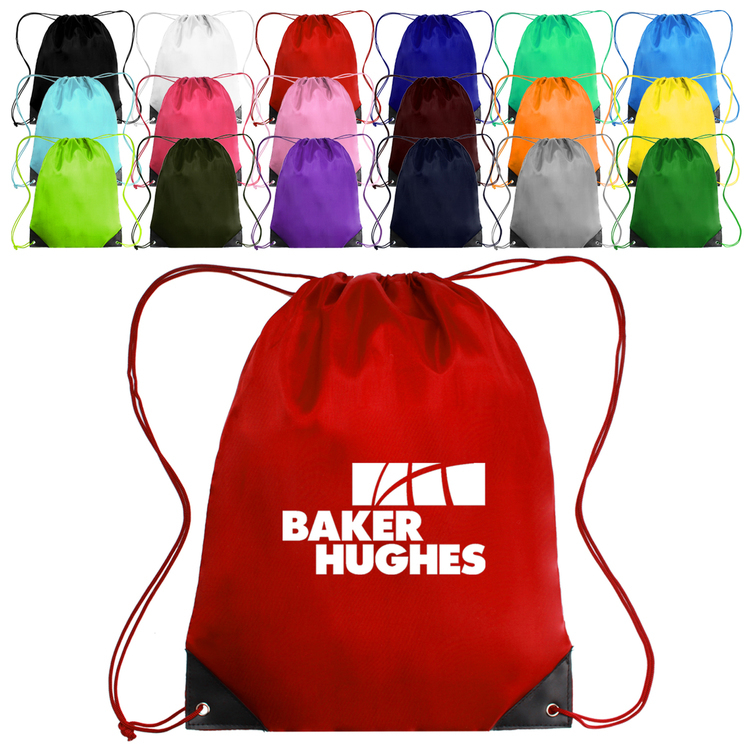 Available in dozens of colors, these personalized drawstring backpacks definitely can make your logo stand out. 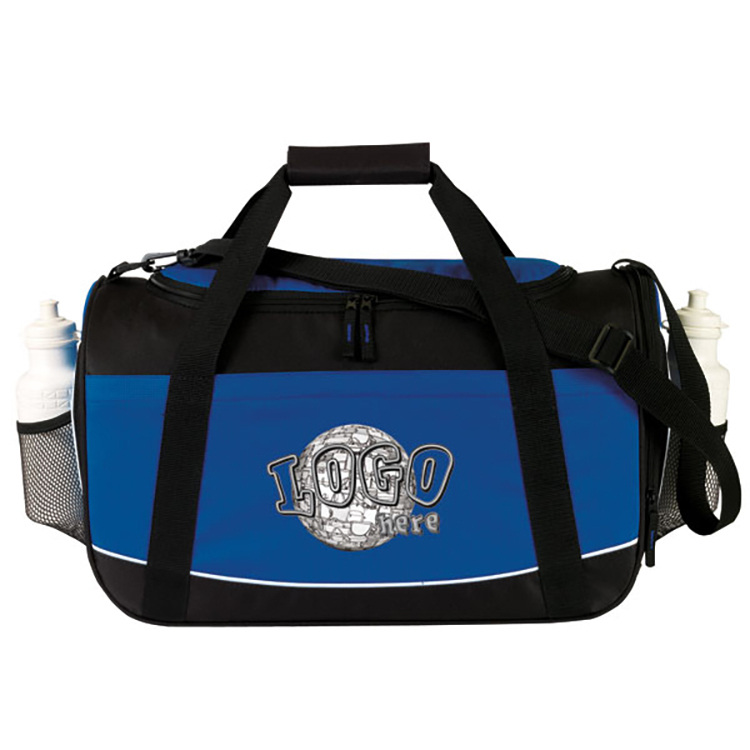 Order today and receive free shipping on your orders. Free virtual proof can be sent upon your request. 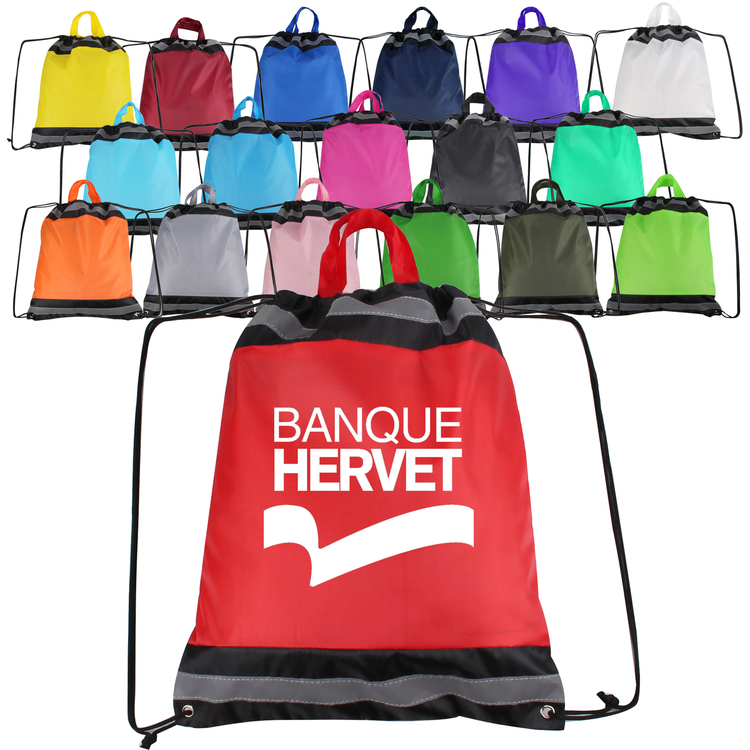 Feel free to contact us if you need any further assistance. It complies with Prop 65. 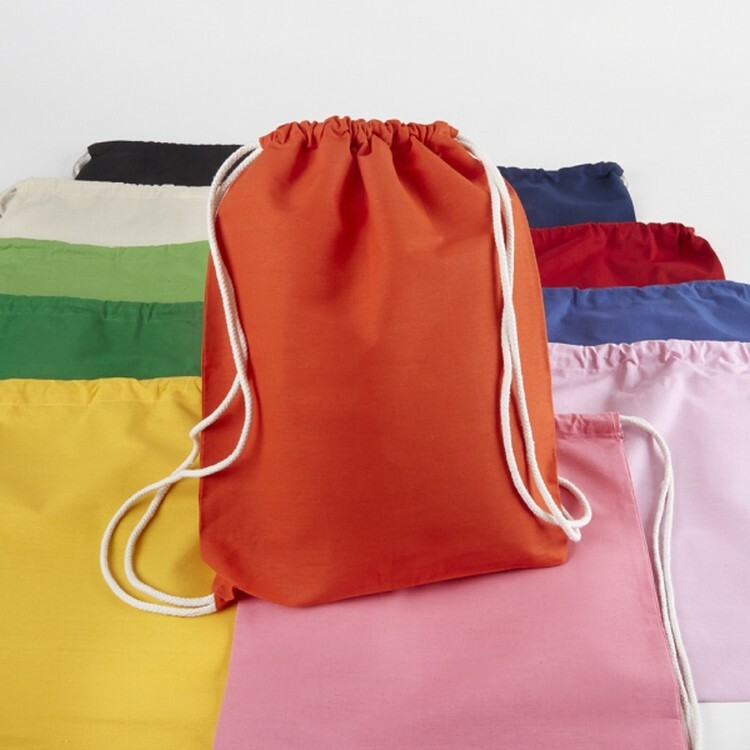 These drawstring bags are very popular. 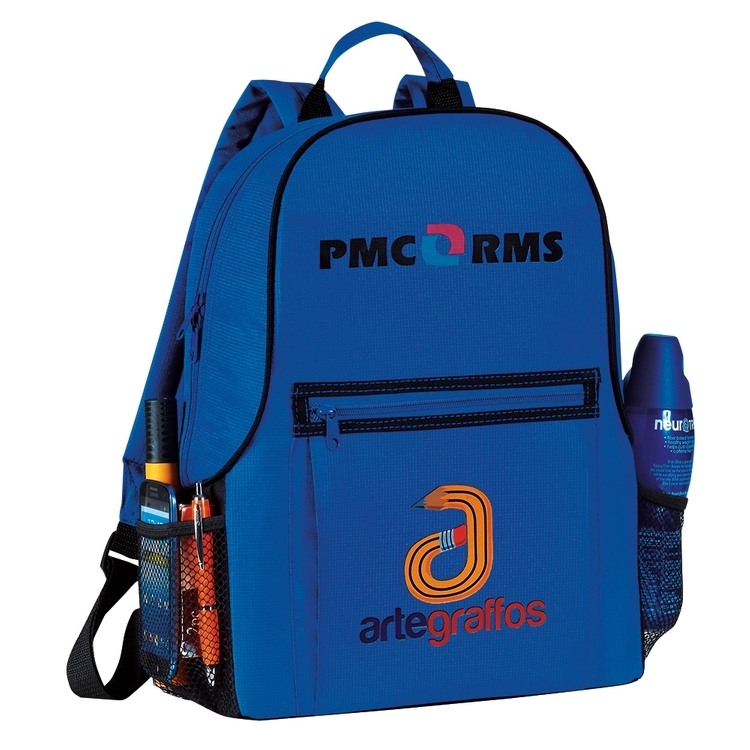 They are made of 210D Polyester to be extremely durable. 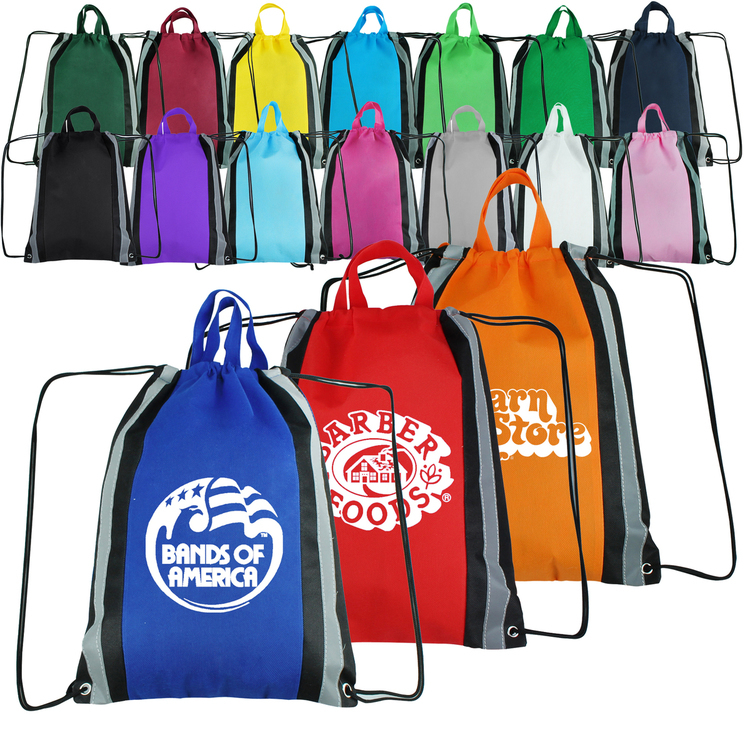 The front is two-tone, with black in the middle area, and your chosen color along the sides. 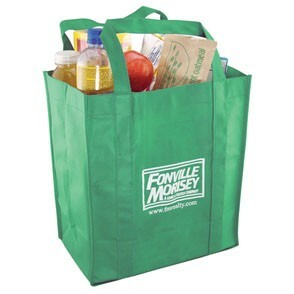 and the stylish look makes people notice these bags from close or afar. 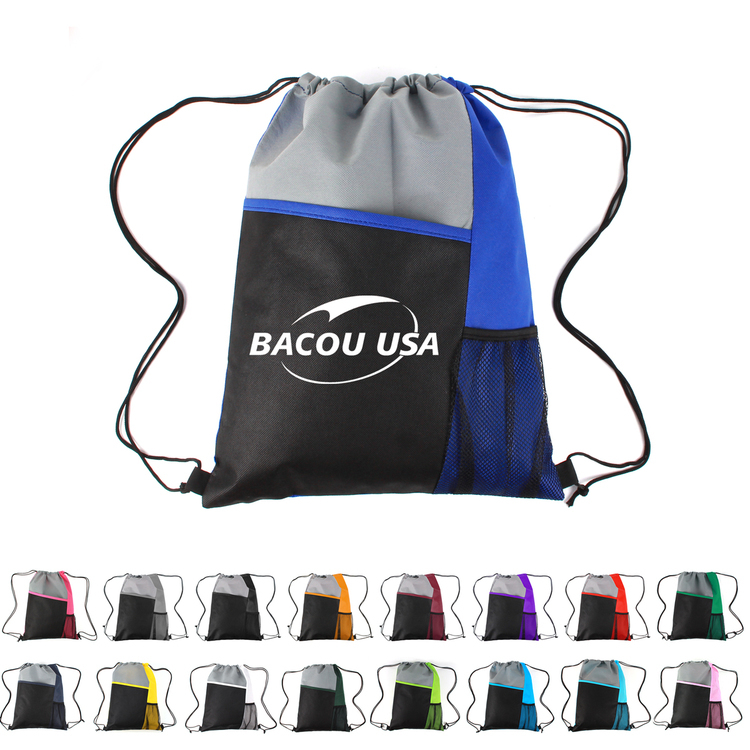 These drawstring bags are one of the most popular ones with athletes and day travelers. It complies with Prop 65. 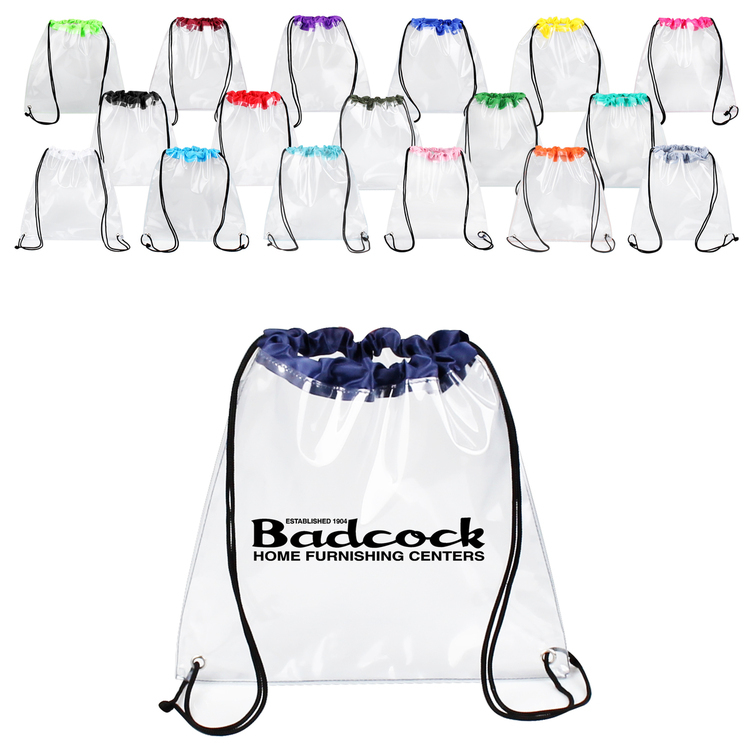 These light reflective drawstring bags are extremely durable and long lasting. 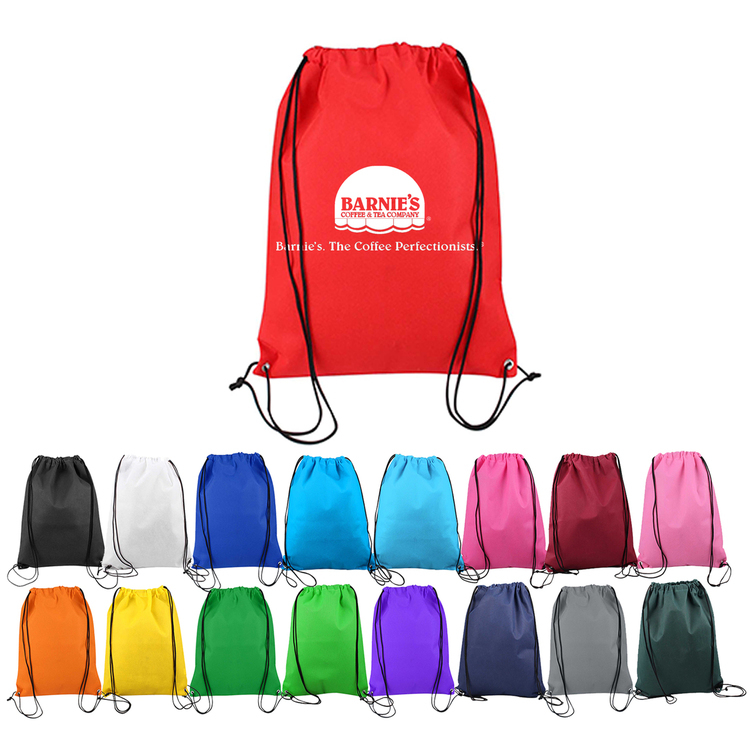 They are crafted with 80gsm non-woven material, and reinforced with bottom eyelets. 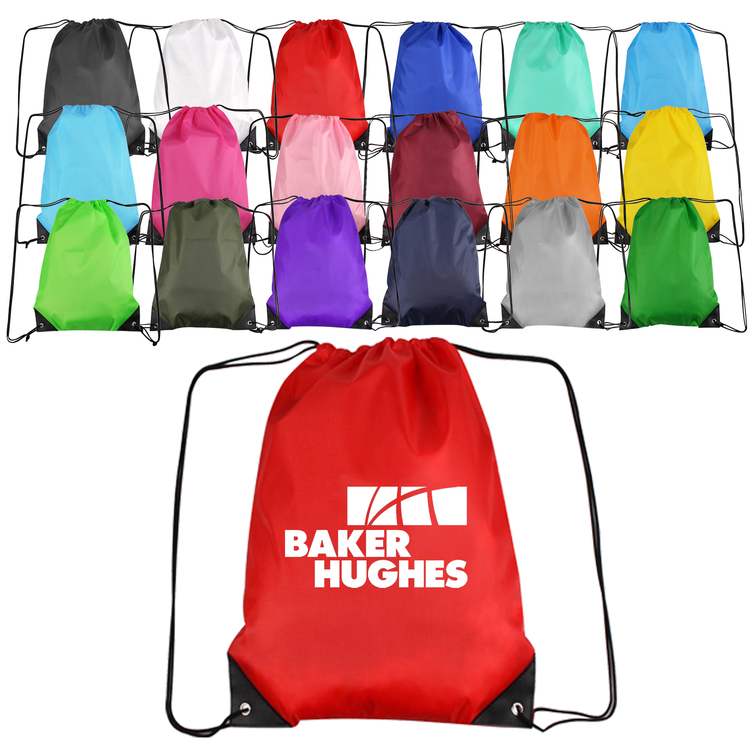 They also feature a carrying handle on top for ease of use and firm hold. 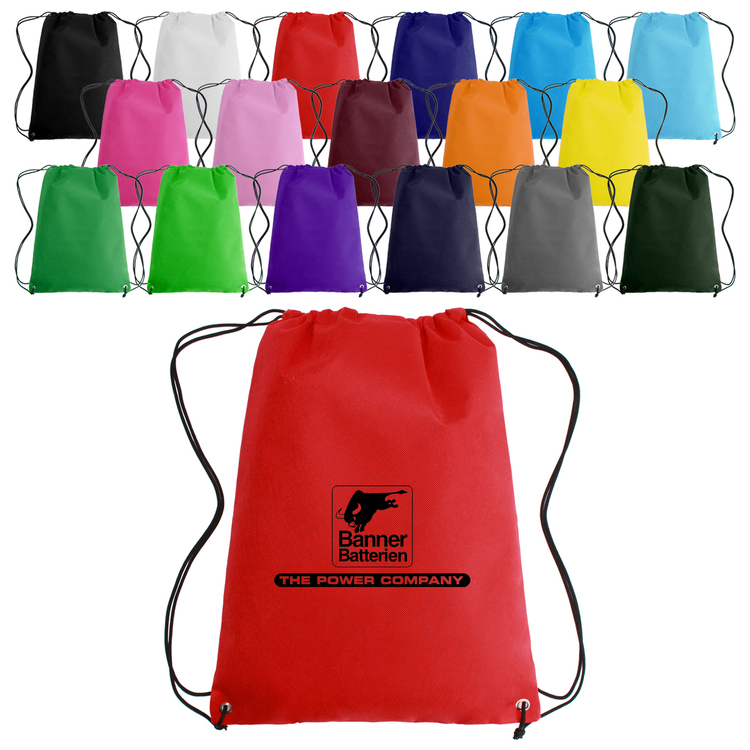 These reflective drawstring bags are available in a variety of colors including black, blue, red, green and more. 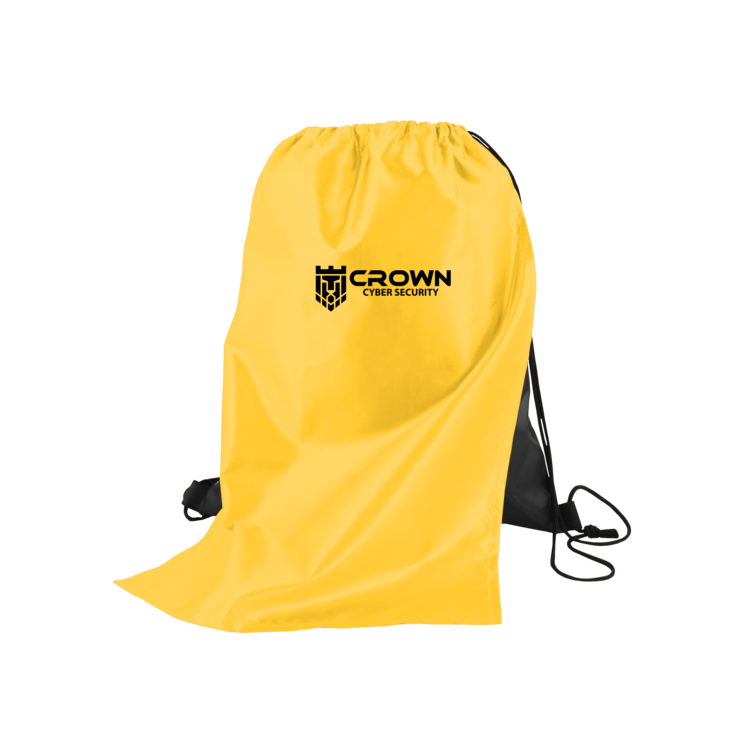 Shipping is included, and the shipping time is 5 business days. It complies with Prop 65. 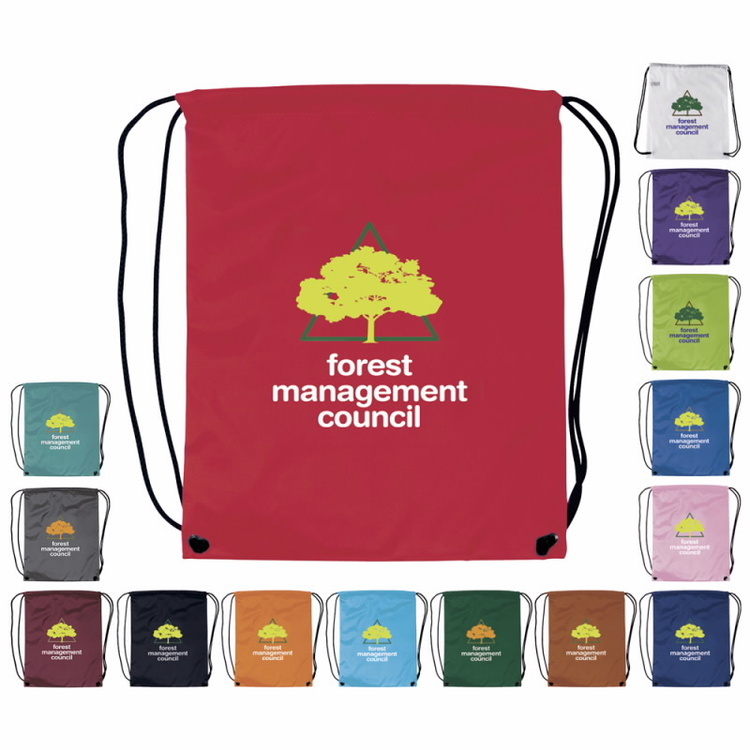 This economical drawstring bag made of 210D Polyester (14" x 17") is perfect for just about everyone. 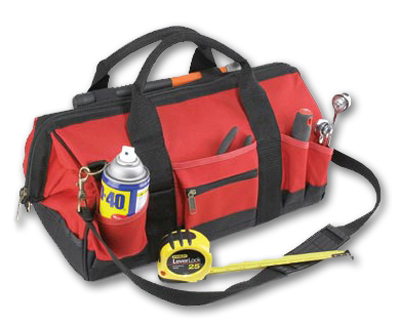 Eyelet reinforcements keep the bag durable under heavy loads. 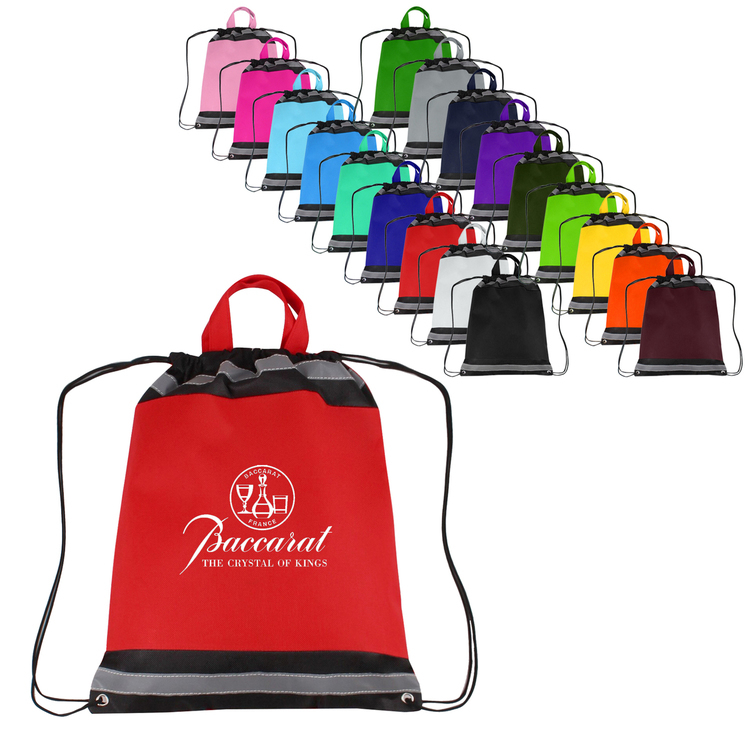 We offer a large assortment of colors for this bag to fit your needs. 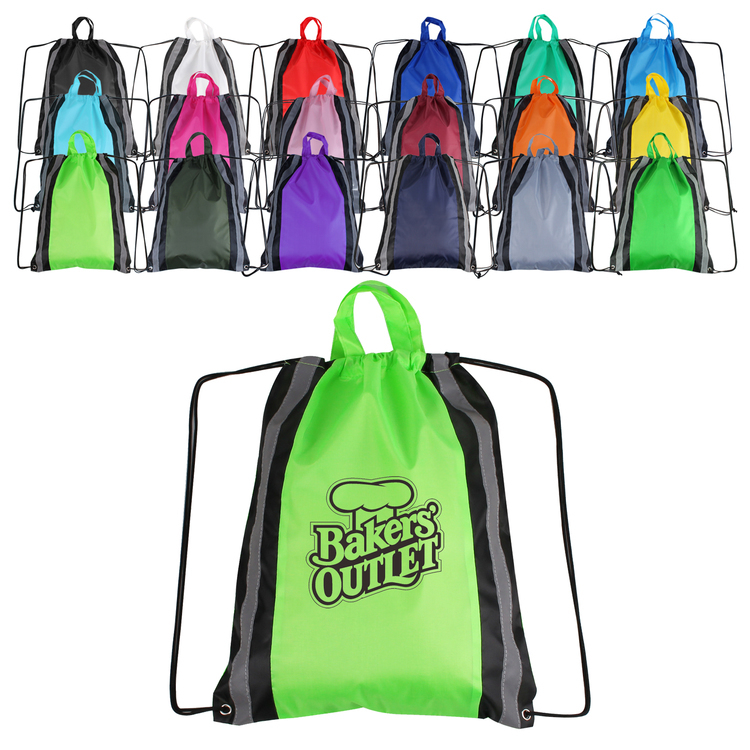 Perfect for trade shows, concerts, birthday parties, baby showers, party favors and much more. 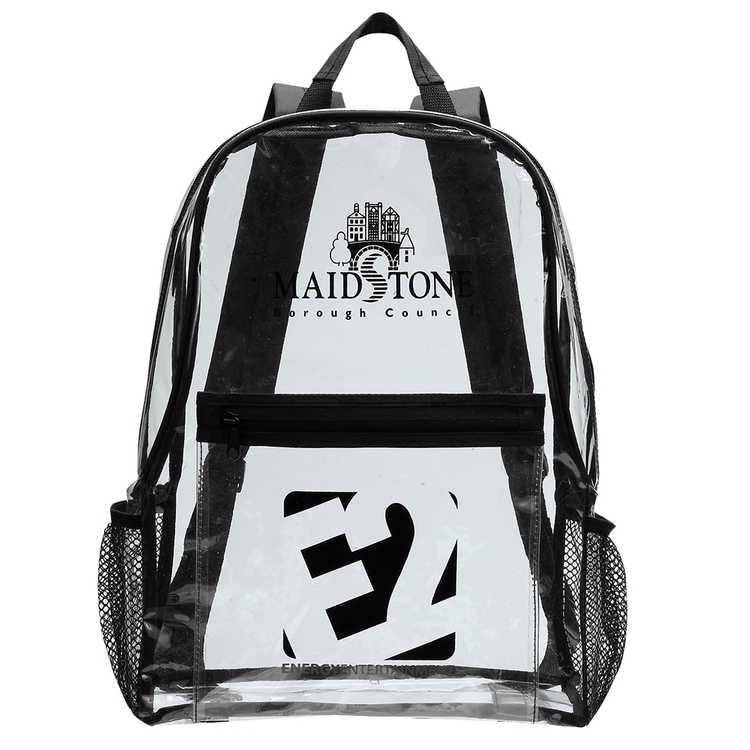 Contact us for a custom quote. 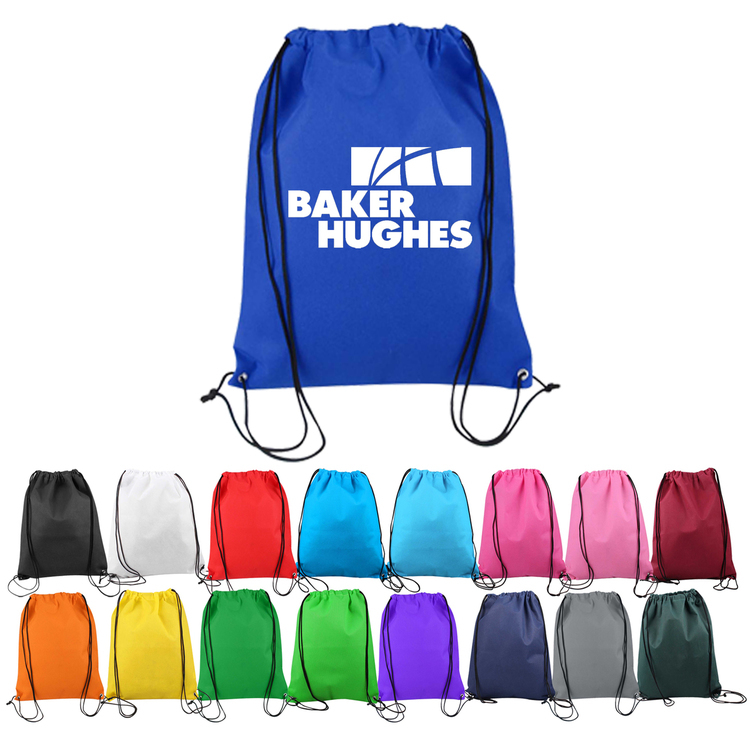 Manufactured with reusable materials, these non-woven drawstring backpacks are ideal promotional items. 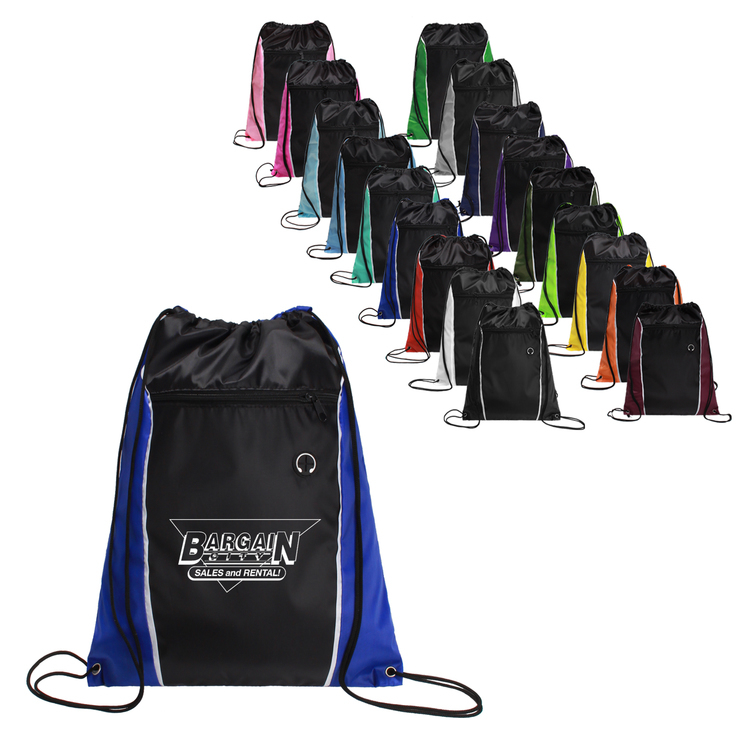 With adjustable drawstrings , Grommet and stitched bottom corners, our wholesale backpacks can carry accessories from clothing and shoes to sports equipment and water bottles. 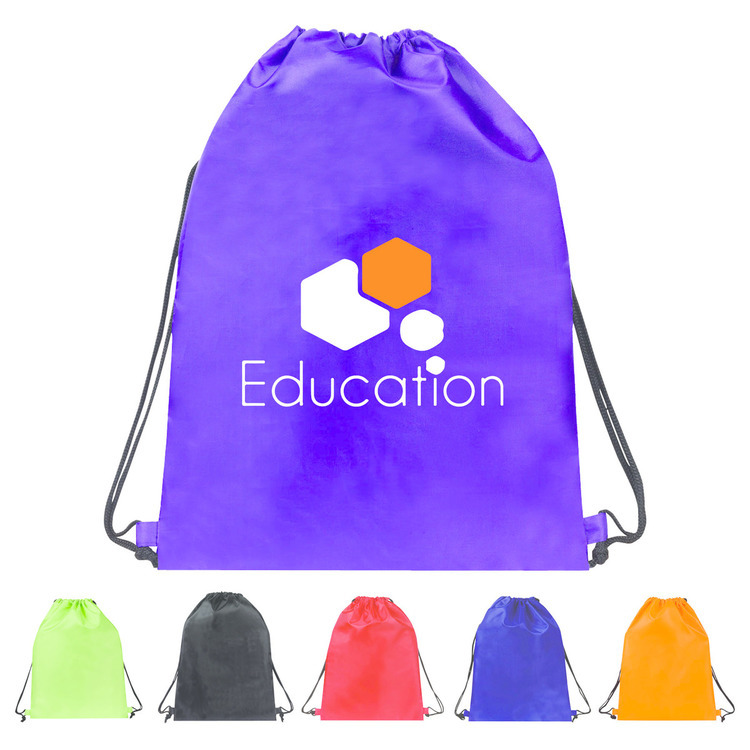 Available in dozens of colors, these personalized drawstring backpacks definitely can make your logo stand out. 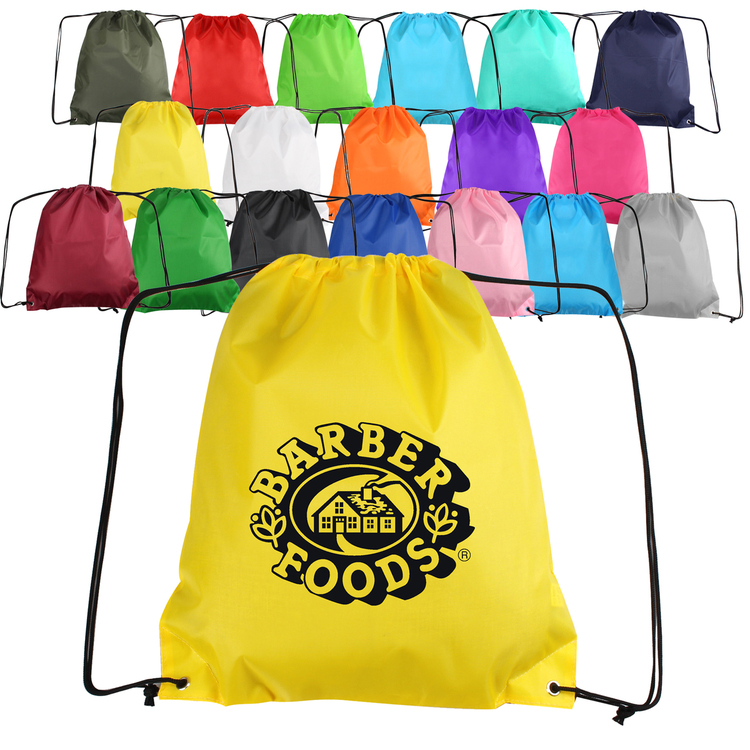 Order today and receive free shipping on your orders. Free virtual proof can be sent upon your request. 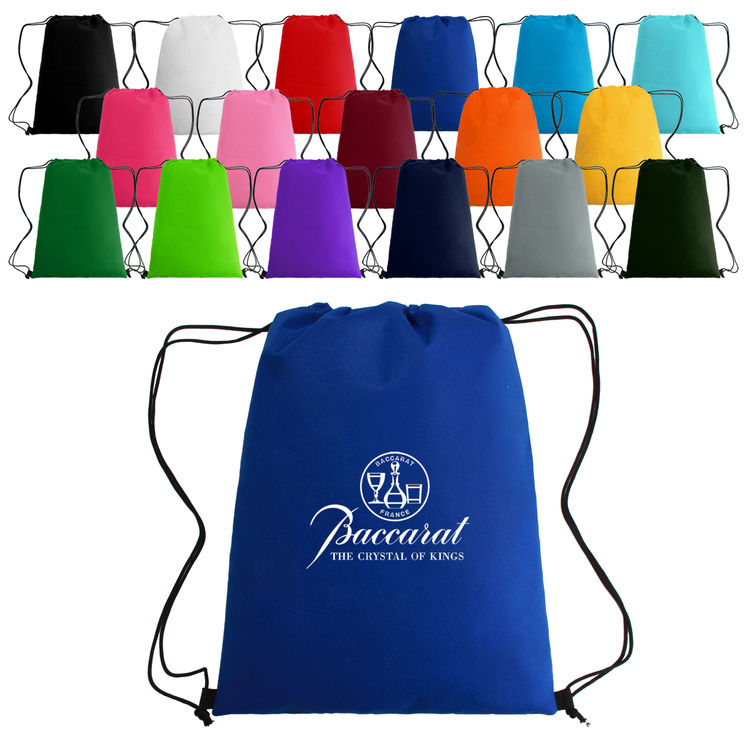 Feel free to contact us if you need any further assistance. It complies with Prop 65.